It can be really unpleasant starting a ketogenic diet as the dreaded keto flu can kick in after a day or two. You have a headache, you feel drained and are thinking that you just have to eat carbohydrates to feel normal again. I know, I’ve been there. 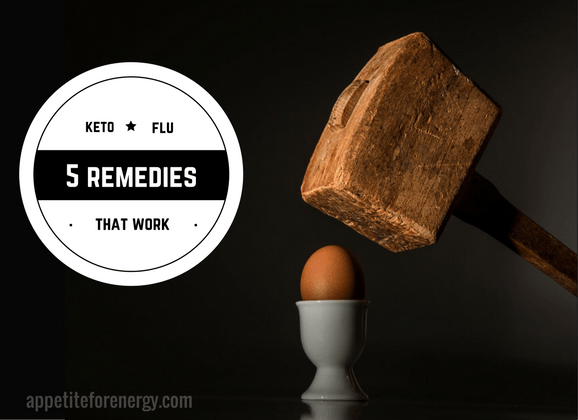 There are 5 keto flu remedies that work and I’ll explain them in this article. The keto flu is really the body flushing out the stored glucose from the body and attempting to switch over to burning fat as fuel. We are not used to using fat as a fuel so it can take a while for this process to get fired up. In the meanwhile, you are suffering from what is known in keto circles as the keto flu. When it strikes, you are in desperate need of keto flu remedies and fast! You might also hear it called low-carb fatigue, carb withdrawal or keto headache. Keto flu may persist for 2-7 days as the body burns through its glucose stores and starts to burn fat for fuel. There are a couple of things going on with keto flu. One of those is that the brain is craving carbohydrates and as a result you get headaches and brain fog as the brain looks for glucose to fuel it but doesn’t find any. The second issue is the drop in insulin caused by the carbohydrate reduction. Sodium is released by the kidneys as a result of the insulin reduction. 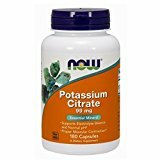 The body will then lose water along with the sodium causing an electrolyte imbalance. Electrolytes (sodium, magnesium, potassium) are essentially too low and you become dehydrated. So when you combine the brain freaking out and the body lacking essential electrolytes, you can feel pretty rotten. 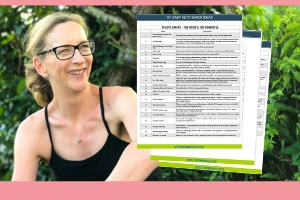 The good news is that you can transition to a ketogenic diet without the keto flu symptoms. Read on to find out the 5 keto flu remedies that work. When you reduce carbohydrates dramatically in your diet, insulin levels drop. This causes the kidneys to release sodium and water too. 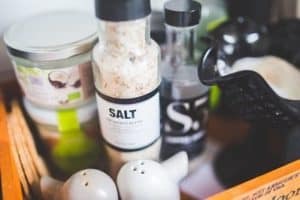 Sodium is critical while on a ketogenic diet. Drinking more water is not enough (see Remedy #3) – sodium needs to be replaced as well. I love using Himalayan Sea Salt in my water and also adding it generously to my cooking. Himalayan salt is harvested from ancient sea beds and is far less processed than regular salt which has all sorts of other additives. Add ¼– ½ teaspoon salt (fine sea salt or pink Himalayan to a glass of water daily, add extra salt to food and/or drink a cup of bone broth or stock (bouillon) each day. Note: If have issues with blood pressure or other health problems, be sure to consult your doctor before increasing salt intake. Lack of magnesium can cause an abnormally fast heartbeat (heart arrhythmia) which is a symptom of keto flu. Most people are magnesium deficient whether they are eating a ketogenic diet or not. It is believed that 56% of the U.S. population is deficient in magnesium. This is thought to be due to soil depletion from farming which means that vegetables are not absorbing enough magnesium from the soil. The main source of magnesium in the diet is dark leafy-green vegetables like spinach and kale. The problem is compounded as diets include more processed foods and less whole-foods rich in magnesium. Some of the symptoms of magnesium deficiency are muscle cramps, constipation, headaches, fatigue and insomnia. The final element to the issue of electrolyte loss is water and dehydration. How much you need to drink will be individual, so start consuming between 2 and 3 liters per day and see how you feel. When you first start eating low-carb, you will immediately notice that you feel very thirsty. Drinking plenty of water is one of the most important keto flu remedies and fortunately dehydration is easy to fix. Lack of water leads to headaches and fatigue so is best avoided! 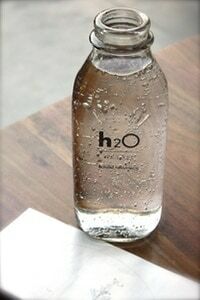 Decide how much water you are aiming to drink each day and keep track of it. Monitor how you feel and adjust accordingly. I always keep water handy in a bottle when I am out as I find that I am frequently thirsty. 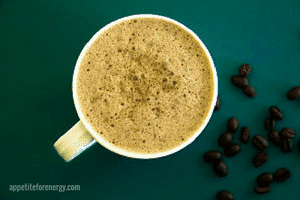 Butter coffee or bulletproof coffee contains medium-chain triglycerides in the form of MCT oil or coconut oil. These boost your ketone levels when your body is not yet producing them on its own. The brain experiences a glucose withdrawal when carbs are dramatically reduced. This leads to brain fog and/or headaches. 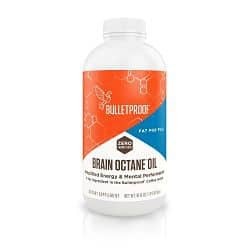 MCT’s provide fuel for the brain when it is crying out for carbs for fuel and can snap you out of any brain fuzziness. Drink Coffee or tea with MCT oil each morning to combat keto flu and especially brain fog. Coffee, butter, MCT oil – blended. Any blended coffee drink that includes: 2 cups brewed coffee or tea, 1 tbsp mct or coconut oil. Place in blender and blitz for 30 seconds. Add any of the following for added flavor (optional): 1/4 tsp cinnamon, 1/4 tsp vanilla powder, 2 dropsstevia glycerite (or other low-carb sweetener) if needed for sweetness. 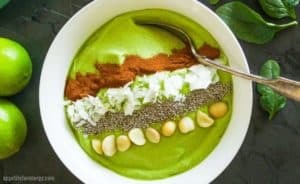 I love this recipe from Healthfulpursuit.com for when I feel like a lighter, dairy free bulletproof coffee. Blend for 1 minute on high-speed. Note – start with a small amount of MCT oil (1 teaspoon) and work up to 1 tablespoon. The body needs time to get used to digesting MCT oil, so start slow. If you take more than your body can comfortably handle, you will experience diarrhea or digestive upset. 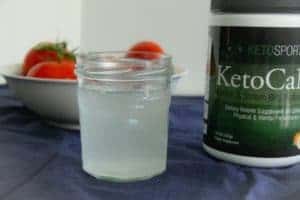 These products can be a lifesaver when you are adapting to the ketogenic diet as they provide a source of ketones to the body. The brain and body can use ketones as an alternative fuel source to glucose. Your body can’t make ketones yet as it cannot burn fat for fuel. So if you provide the body and brain with ketones, it can use them for fuel at a time when they are deprived of carbs. 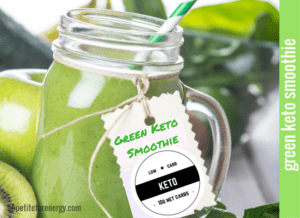 It is worth considering taking an exogenous ketone supplement to prevent keto flu symptoms. The other benefit to exogenous ketones is that you will go into ketosis and this gives you an opportunity to see what it feels like. This can inspire you to keep going with the dietary change. While this is an expensive supplement, you do not need to keep using it long-term. 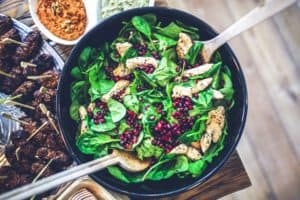 It is very handy at the beginning of a keto diet though and can make the transition so much more pleasant and easy to stick with. Other uses for exogenous ketones are for enhanced exercise performance and mental acuity. I use one called Ketocana by Ketosports quite successfully and would recommend it. 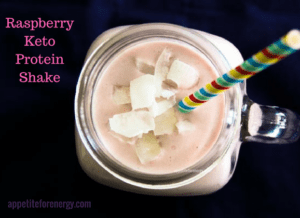 I also use it when I want to get back into ketosis quickly after having too many carbs! 1. Walker, A. F., Marakis, G., Christie, S. & Byng, M. Mg citrate found more bioavailable than other Mg preparations in a randomised, double-blind study. Magnesium research : official organ of the International Society for the Development of Research on Magnesium 16, 183-191 (2003). ★ Let us know in the comments if you have any other keto flu remedies that work for you. We’d love to add them to our repertoire!